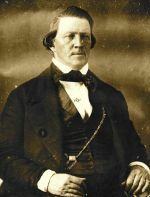 Since the time when Brigham Young taught that both the moon and the sun were inhabited by people, has the Mormon Church ever found scientific evidence of that to be true? No, seriously, thank you for your question. It's important to distinguish between "teachings" and "speculations." While I'd venture to guess that most modern Latter-day Saints believe there is created life outside our little solar system, not one of us believes that there is created life where no life can exist. Like every other intelligent person who walks the earth, Brigham Young enjoyed speculating about things outside his purview. I do it; you do it. Those speculations and jokes and debates don't constitute doctrine; they were never intended to, and were never understood that way, even when they were first spoken. They are and always were just one guy's opinion. You may be familiar with biblical passages where Paul (and others) do the same thing. or have other questions, please feel free to write again.